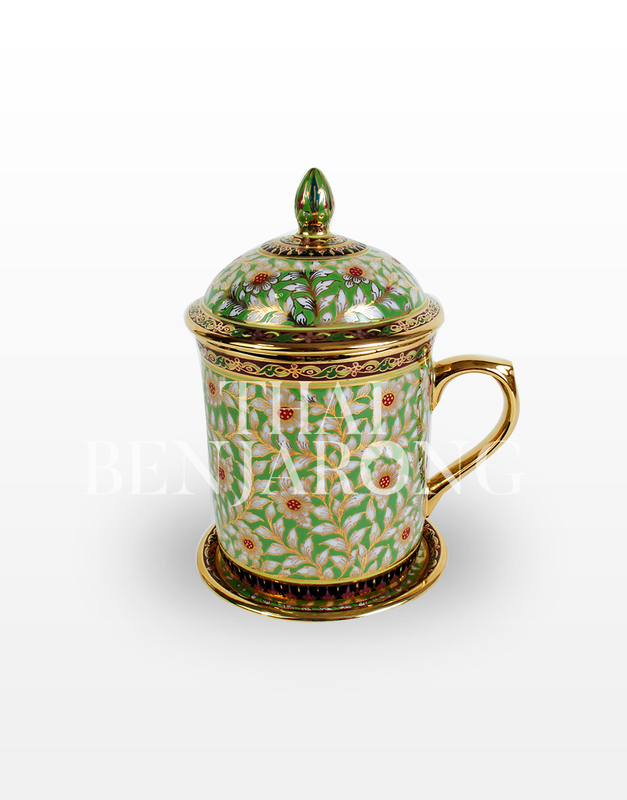 Type 5 Mug Complete With Lid And Saucer Chakri Red On Green Pattern. 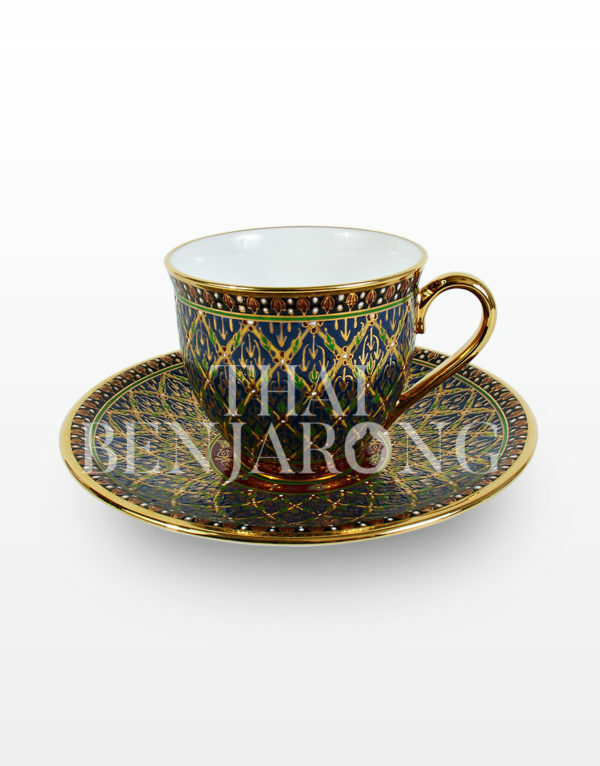 A cup set of sophisticated historical look, complete with lid and saucer. 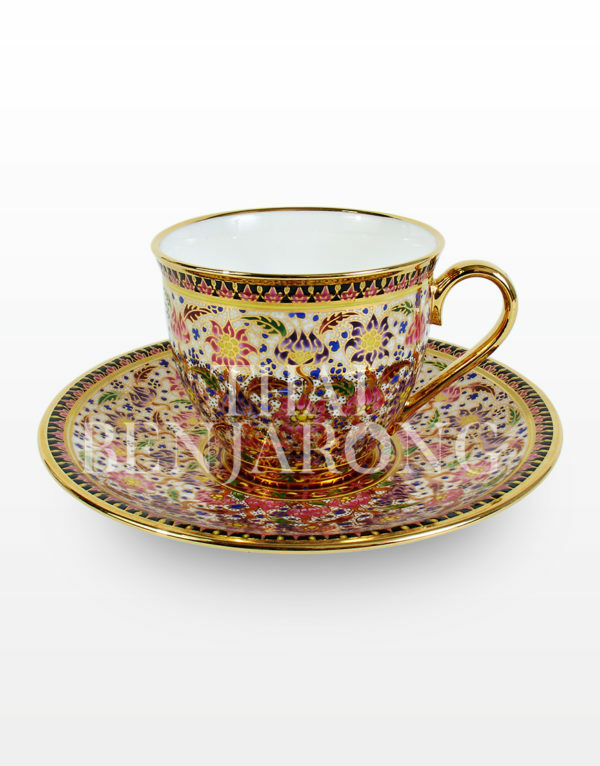 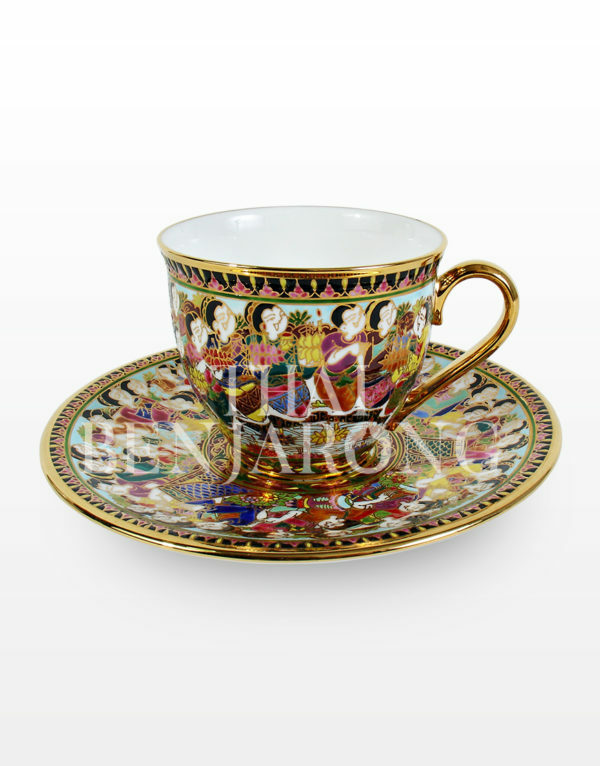 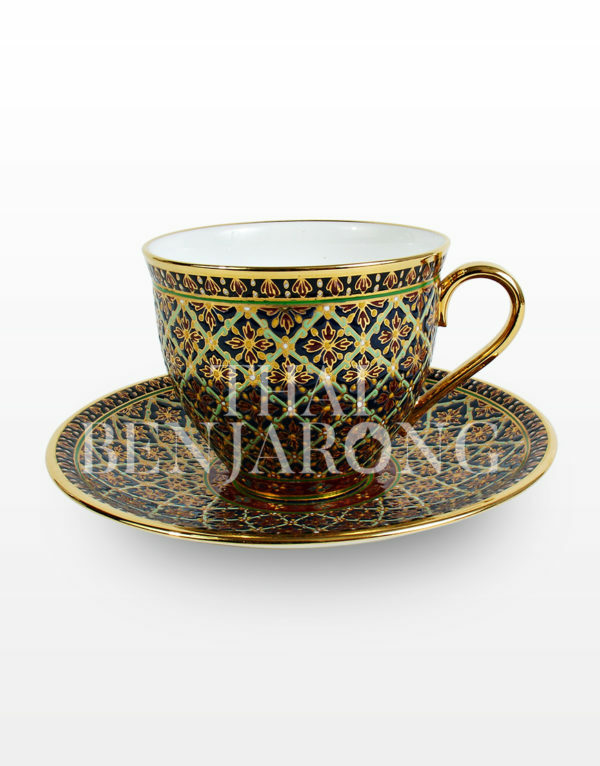 Made by the technique of craftsmanship originally exclusive for the Thai royal court, with multiple layers of exquisitely hand-painted Thai arts and relief glaze to emphasise it’s Thai flora pattern and background against the beautiful 18k gold accent. 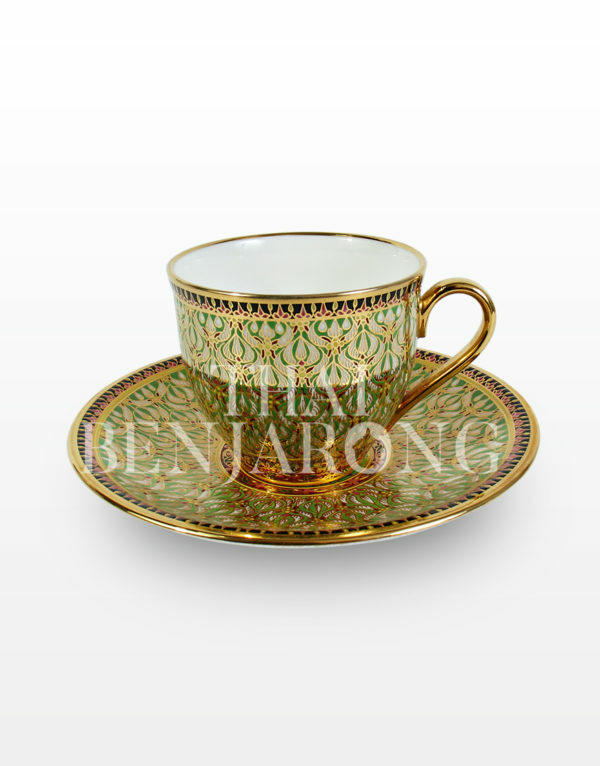 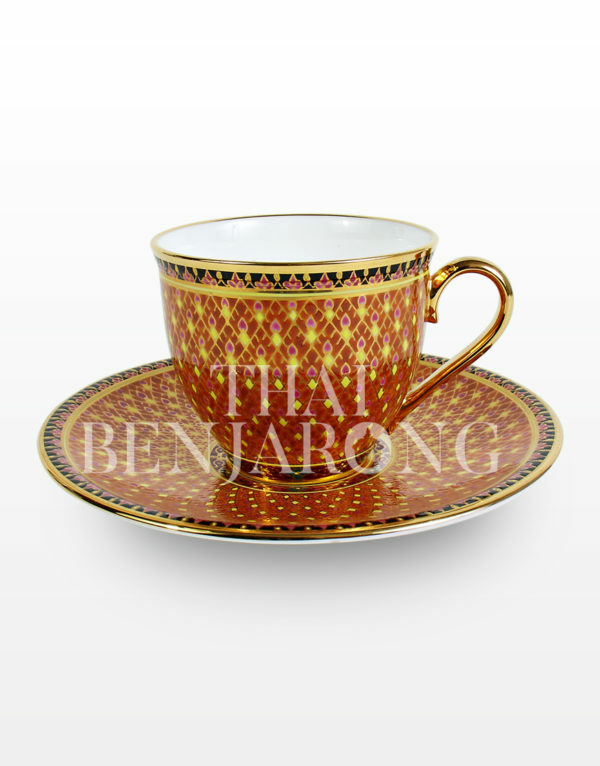 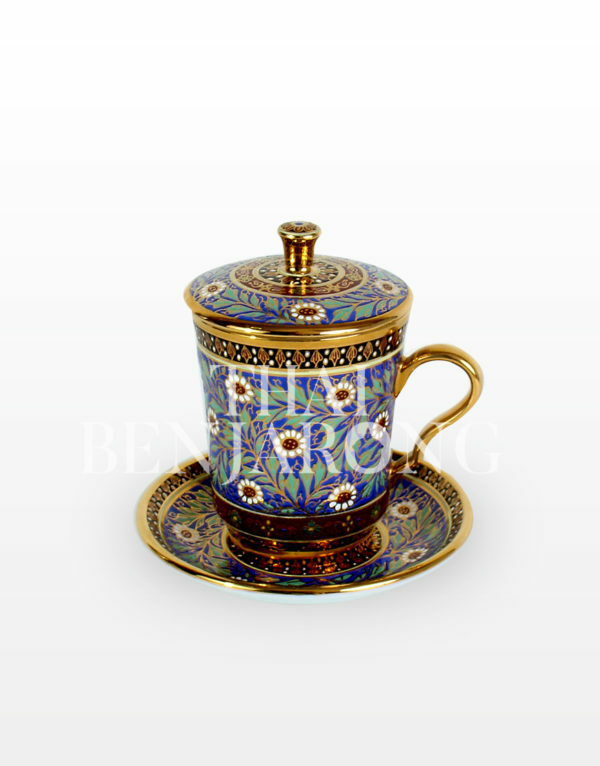 Benjarong Mugs are pieces of true class that makes an impression at first sight. Hand wash only, not microwave safe. 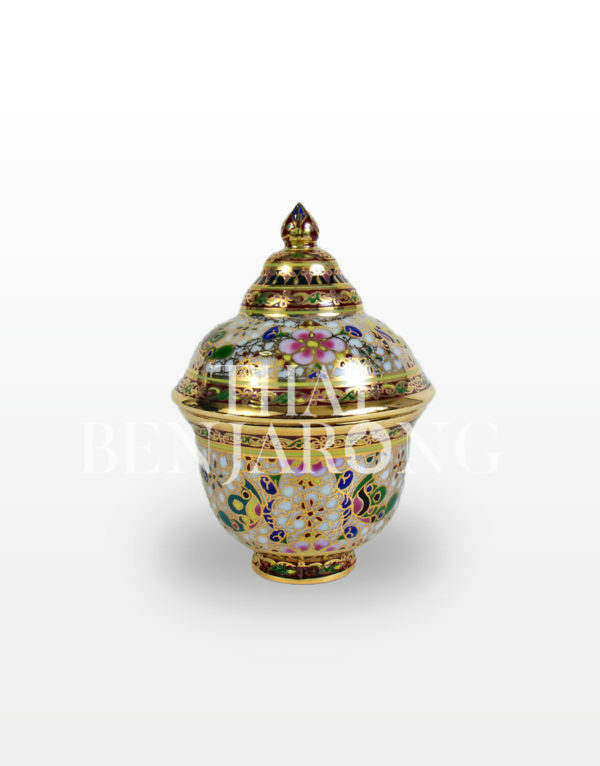 Our Thai Benjarong is cooperating with a professional shipping Company, DHL, to bring the beautiful piece of art to your hand in an appropriate time. 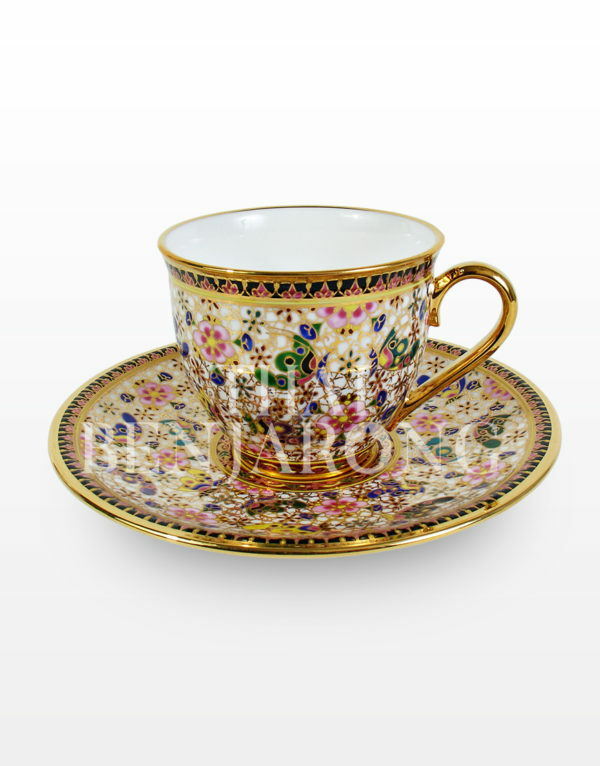 We guarantee the new pieces for replacement if your selected item is broken during the transportation. 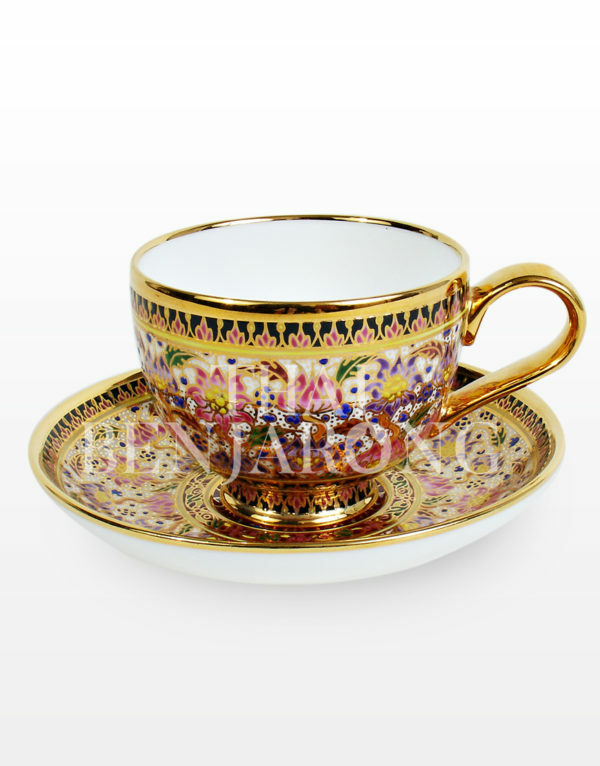 By providing us the photo of the broken items and the package to us, we will replace the new one for you. 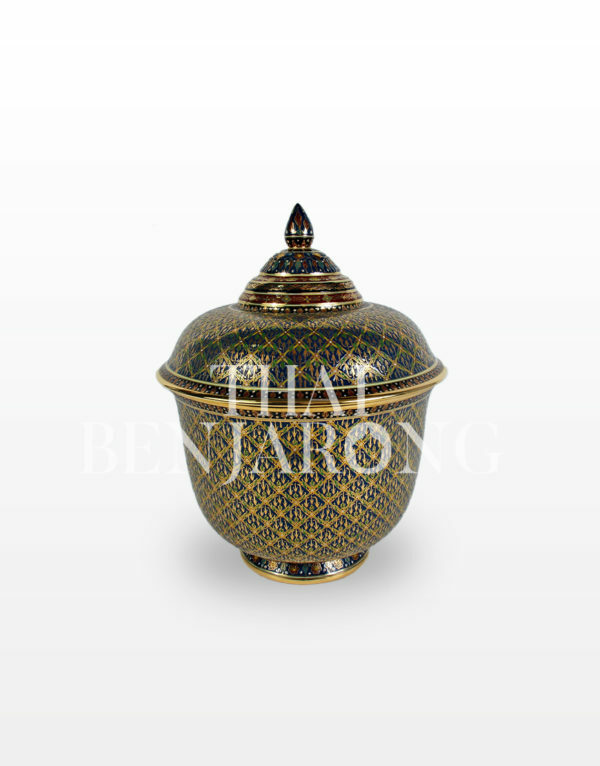 Our packaging process is including three layer. 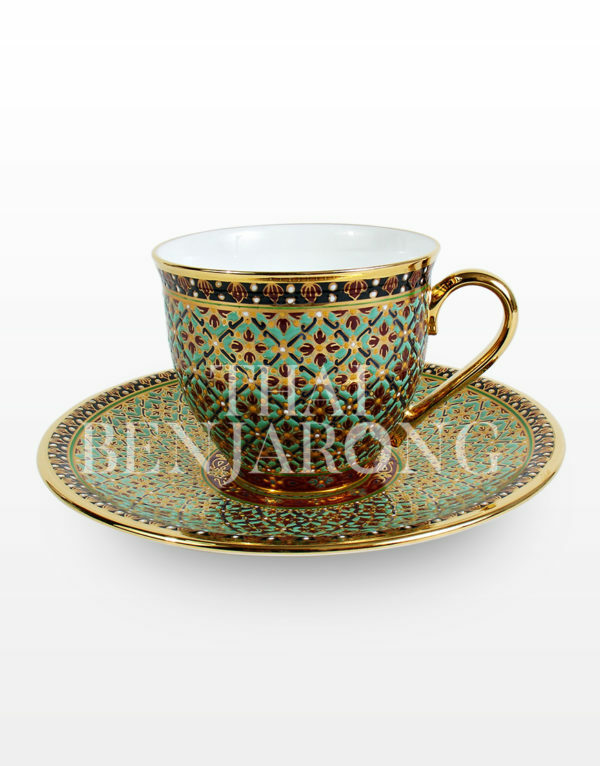 First, we will wrap with paper wrap to protect them from any scratch. 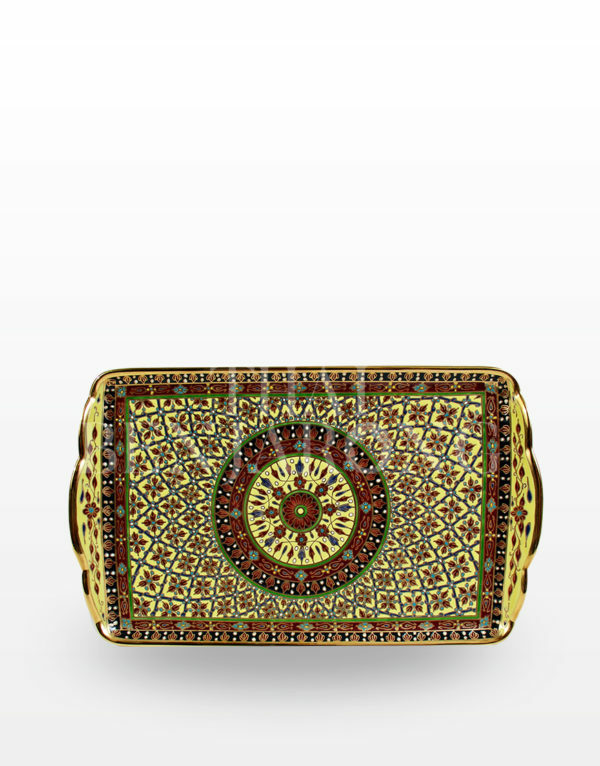 Next, the item will be wrapped with layer of air bubble regard to broken prevention. 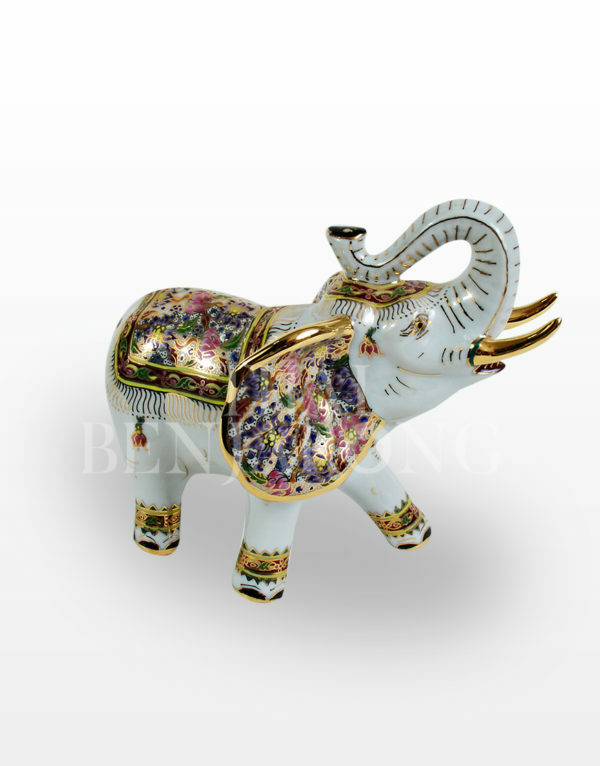 Last, we will surround them with Polystyrene Foam Sheet to protect them from moving inside the box. 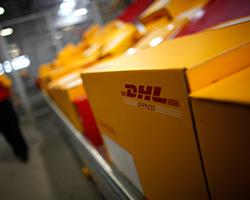 Then our shipment is ready to deliver.